What's the mixolydian b13 mode ? The Mixolydian b13 aka Mixolydian b6 scale is the fifth mode of the melodic minor scale. As its name tells it is precisely the Mixolydian mode with a minor sixth (b6). 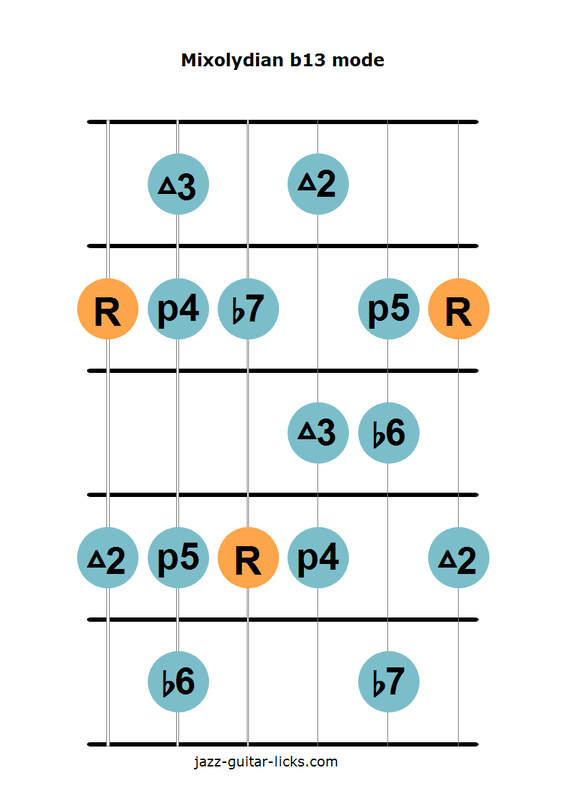 However, it is sometimes called Aeolian dominant because it is built with the same notes as the Aeolian scale (sixth mode of the major scale) but with a major third (3) instead of a minor third (b3). It is also known as Hindu scale and belongs to the group of Indian scales. The formula is 1 -2 - 3 - 4 - 5 - b6 - b7. The Mixolydian b13 scale is generally played over a dominant chord (7b13) resolving to a tonic minor chord, G7b13 to Cm7 for example. Here is a quick comparison of the three main dominant modes found in jazz music, namely Mixolydian b13, Mixolydian and Dominant bebop. 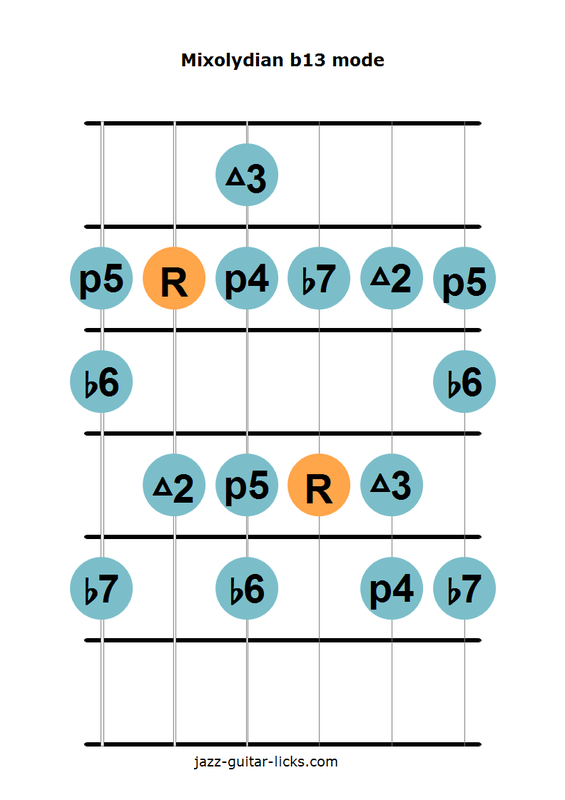 The Dominant bebop scale has an extra note, a major seventh (7) between the minor seventh (b7) and the root note (1).